MIX mushrooms, dressing and lemon juice in large nonstick skillet; cook on medium heat 3 to 5 minutes or just until mushrooms are tender, stirring frequently. TOP with asparagus; cover. 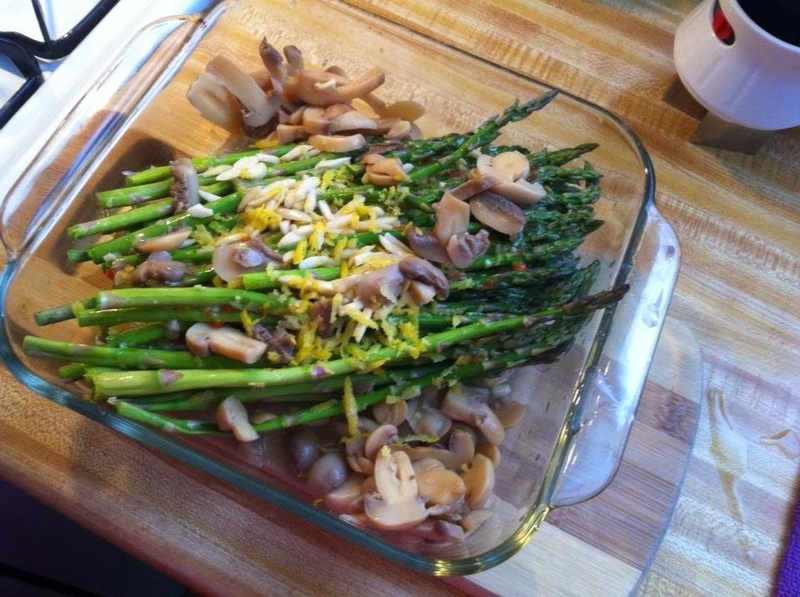 Reduce heat to medium-low; simmer 5 minutes or until asparagus is crisp-tender.